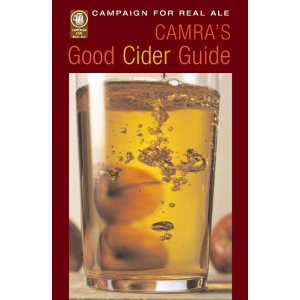 The Campaign for Real Ale, (Camra) has revealed that the real cider and perry industry is booming in line with the UK’s real ale market. New figures show there are now over 300 cider and perry producers in operation across the UK, twice as many as there were in 2005. This boom is also seen in the real ale market after last month Camra’s 2013 Good Beer Guide reported there are now over 1,000 breweries operational across the UK, the highest number for over 70 years. Andrea Briers, Camra’s national cider and perry committee chairman, said: “We are delighted to see a large number of people coming into the real cider and perry industry and playing a major part in driving consumer interest in local produce. Camra’s research also shows that the boom is happening outside, what are considered to be, the traditional cider and perry areas. Herefordshire boasts over 40 producers and there are over 35 producers in Somerset, but such is the extent of the cider and perry boom that areas such as Yorkshire, Northern Ireland and the Isle of Man are seeing small companies start up. Briers added: “It’s also exciting to hear many of these producers reporting high demand for their ciders and perries. This shows how many drinkers in the current climate are shunning mass produced brands and instead are turning to their local producer for quality and choice.